The renowned Lynch Ballet Company of Huntington, NY presents its spectacular fifth annual Nutcracker production bringing together over 150 Lynch School of Ballet dancers and Matthew Donnell, formerly of Kansas City Ballet, in the role of Cavalier. Billy Elliot Tony Award Winner Trent Kowalik, is the male Soldier Doll. Lynch Ballet Company’s esteemed alumna Alyssa Brogan of the Adelphi University dance department performs the role of Sugarplum Fairy. This timeless two-act classic premiered in 1892 in St. Petersburg Russia and was originally choreographed by Marius Petipa and Lev Ivanov with a score by Tchaikovsky. 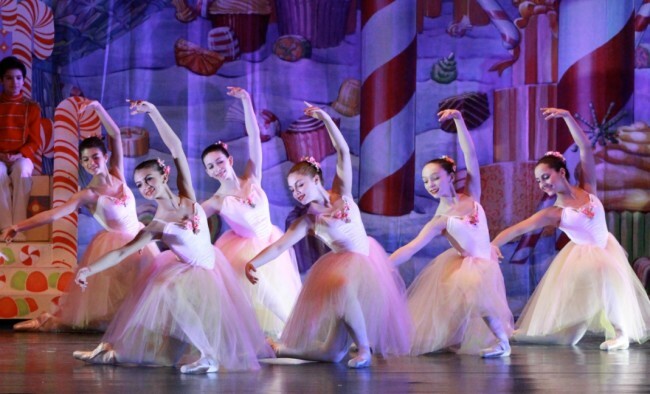 Over one hundred years later the Nutcracker remains a holiday favorite. The 2013 Lynch Ballet Company production promises to dazzle audiences young and old with its gifted dancers, timeless tale and beautiful costumes designed by Madeline Hinkis, former costume mistress for American Ballet Theater II. The production will take place at Huntington High School, in Huntington NY on Saturday December 21, 2013 at 2:00PM and 6:00PM and Sunday December 22, 2013 at 12:00 PM and 4:00PM. Tickets are $25 Adults and $20 for Children and available for sale at the Lynch Ballet Box Office at 631-942–3933. This year the Lynch Ballet Company is also proud to support its local community for the fourth year in a row by donating two hundred tickets to families most in need in the Huntington Union Free school district. “It is important to remember that we must support those less fortunate when we have the opportunity. Our production is one way our company and school can do so. We are happy this is something we can offer,” said founder and Artistic Director Karen Lynch. The Lynch School of Ballet under the direction of professional ballerina Karen Lynch encompasses a premiere ballet academy, an open dance program, and the chamber-sized Lynch Ballet Company. The program nurtures dancers in an environment that is ideal for artistic, technical, and personal growth. Ms. Lynch is proud to have students who have placed in the country’s top ballet programs including American Ballet Theatre, Pacific Northwest, Boston Ballet and Joffrey Ballet amongst others. Many of her senior dancers have been granted contracts with professional ballet companies or have been accepted to prestigious dance universities. This year, Alexandra Smith won a National Training Scholarship from American Ballet Theater. For more information on the Lynch School of Ballet or the Lynch Ballet Company please call Karen Lynch at 631-470-9711 or visit the Lynch website at http://www.lynchballet.com.